Joshua Bennett’s poems have been published in Callaloo, The Collagist, Drunken Boat, Tupelo Quarterly, and Tidal Basin Review, among others. 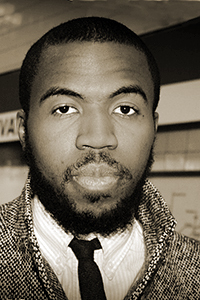 He was the winner of the 2014 Lucille Clifton Poetry Prize (Backbone Press), and in 2010 he received a Predoctoral Fellowship from the Ford Foundation. He also received fellowships from the Center for the Study of Social Difference at Columbia University and the Callaloo Creative Writing Workshop. Bennett, who is a doctoral candidate in the English Department at Princeton University, is the founding editor of Kinfolks: a journal of black expression.